The Red Dirt came out in 2012 and is currently on tour with John Petrucci and Devin Townsend to name just a few. It is essentially all of the Keeley mods wrapped into one pedal. It also features one really important addition, the JFET input buffer. A mod that couldn’t be done to the old screamers is a JFET input buffer change. Now the Red Dirt and Red Dirt Mini are more open and dynamic… and let your pickups breathe in a way that you’ve not heard. The four modes of operation are completely new for the Red Dirt Mini. 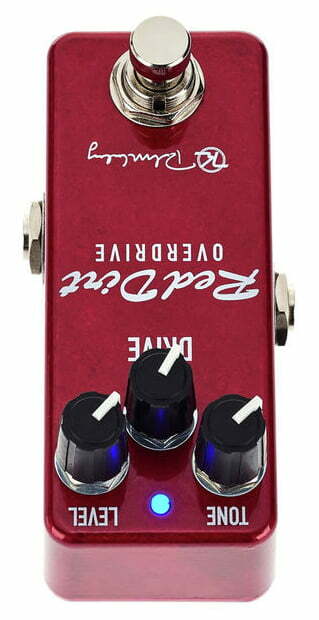 The pedal’s base-line tone is configured by taking the bottom plate off and adjusting the DIP switches. These switches allow you to change the clipping diodes which give you either a more compressed sound, or give you a more open tube-amp like sound and variations in between. 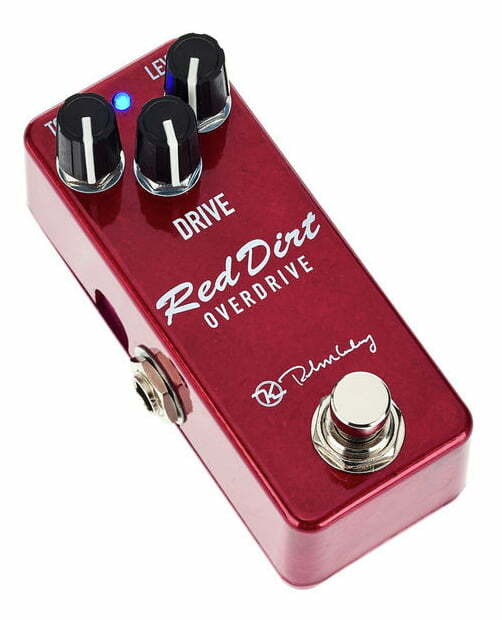 The different overdrive styles are: Distortion, Overdrive, Crunch, and Amp. 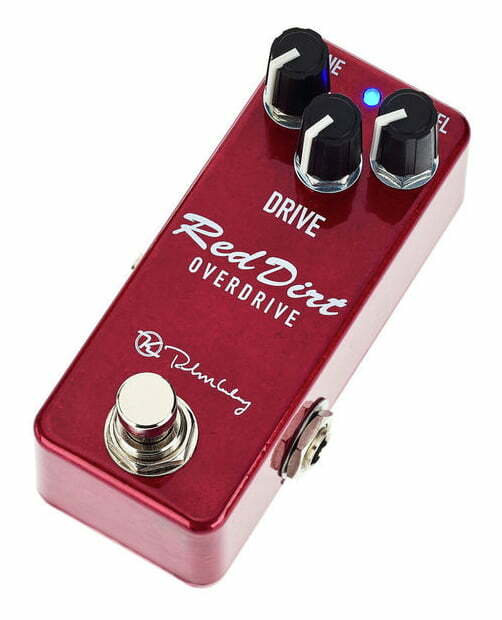 Going from the high gain Distortion Mode where you have 2 to 3 times screamer gain, they give you progressively cleaner, more open and bolder sounds. The Red Dirt Mini is huge on tone and flexibility. 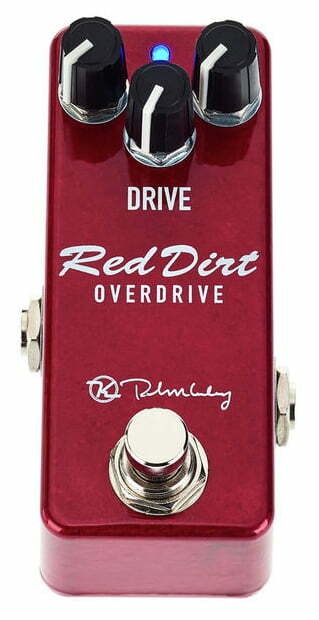 Huge tone and small size in the Red Dirt Mini. It’s the working man’s overdrive in a small package, just 1.5″ x 3.6″ Needs only a 9 volt negative-tip power supply and 7.5mA of current.